This Thursday night in Freo – Whadjuk Noongar Elder Professor Len Collard will officially welcome ‘Rainbow’ onto the land with a smoking ceremony. We will also turn on its new lights which will make Marcus Canning’s piece even more stunning . Proceedings start at around 7pm. We’d love to see you down there. It was great today to speak at the launch of the new Fremantle Sea Rescue operations centre at Cantonment Hill Signal Station with Josh Wilson, DFES Assistant Commissioner Garry Gifford, and Cam McMillan, President of the Fremantle Volunteer Sea Rescue Group. Fremantle Sea Rescue has been making boating safer for over 40 years with 100 active volunteers manning the boats and monitoring radios 24 hours a day, 365 days a year. They are one of the most iconic organisations in Freo, and symbolise some of the best things about our city – our connection with the sea and our community spirit. They are one of the busiest marine rescue groups in the country – and certainly the busiest in WA, covering the ocean between South Fremantle and City Beach out past Rottnest, plus all the navigable waters of the Swan and Canning Rivers. They also undertake over 600 rescues a year – many minor, but some life threatening or ending with the loss of life. It’s an important job and one that requires an adequate home. The opening of the Operations Centre at Cantonment Hill provides a significantly better base for radio operations and will also act as a home for administration. I’m sure having one of the best views of Fremantle won’t hurt either. The City is proud to support the Fremantle Volunteer Sea Rescue Group and have them here on Cantonment Hill. In years to come, this historically significant area will be transformed into an attractive and accessible community space and striking entry point in Fremantle, thanks to support from Lotterywest through a $2.2m funding grant. The restoration and activation of the signal station is one of the first stages of this milestone Cantonment Hill project managed by the City of Fremantle and I look forward to seeing it progress, with the Fremantle Volunteer Sea Rescue Group at its heart. You would have no doubt have heard the announcement about the City of Fremantle ’s “One Day” in Fremantle event in Saturday 28 January 2017. I think having an alternative event (that will be in addition to the traditional Australia Day fireworks now put on by Fishing Boat Harbour Traders and the Fremantle BID) is a win-win for Freo. One Day in Fremantle is an opportunity for all Australians to come together and celebrate the multicultural diversity of our country. Presented by the City of Fremantle, the free, family-friendly event is a culturally-inclusive alternative to traditional Australia Day celebrations that will see some of Australia’s finest artists take to the stage. The Esplanade Reserve will host performances by world-class artists John Butler, Dan Sultan and Mama Kin. Families will have the opportunity to enjoy and take part in a range of fun arts and cultural activities. “We are immensely proud to have artists of this calibre join Fremantle to celebrate diversity, inclusion and acceptance for all Australians. Whether it’s enjoying live music or participating in engaging art and cultural activities, this event is for all Australians to unite and celebrate on one day,” added Fremantle Mayor Dr. Brad Pettitt. The celebrations will be hosted by multi-award-winning singer-songwriter Gina Williams and include a Welcome to Country by Marie Taylor and Dr. Richard Walley OAM. A citizenship ceremony will welcome new Australians from around the world. To help shape future celebrations in Fremantle, a series of conversations hosted by locals and guests will encourage people to share their ideas and what they love about celebrating Australia. “This family-friendly event will contribute to the nationwide conversation on celebrating our country and its people. Fremantle is offering Australians another day to celebrate – together,” said Dr Pettitt. Everyone is encouraged to bring a picnic and enjoy the stellar line-up whilst embracing the diversity of modern-day Australia. Celebrate Australia in the heart of Fremantle – one day when everyone is welcome. One Day in Fremantle is a free, family-friendly event that will be held at the Esplanade Reserve in Fremantle on Saturday 28 of January, 2.00–8.00 pm. Freo architect Murray Slavin sent me this interesting and challenging article recently that I thought worth sharing. While about Miami it has strong relevance for Fremantle. Elected in 2001, over eight years in office Miami‘s former mayor Manny Diaz oversaw one of the most dramatic urban transformations in the United States’ history. Diaz was therefore invited to offer the opening remarks to the second day of the 2016 Design Matters Conference, presented by the Association of Architecture Organizations, which is currently taking place in the city. In his speech delivered at the Miami Center for Art and Design, Diaz explains how he developed the “Miami 21” zoning code to leverage the power of architecture and urban planning, ultimately turning Miami from a subject of jokes into one of the United States’ most successful and admired cities. Below is an edited version of this speech. High Street Long Table Dinner. Last Chance. Great write-up in the West’s Inside Cover on the Long Table Dinner. Apparently there is only a few tickets left so get in quick for this fab event. 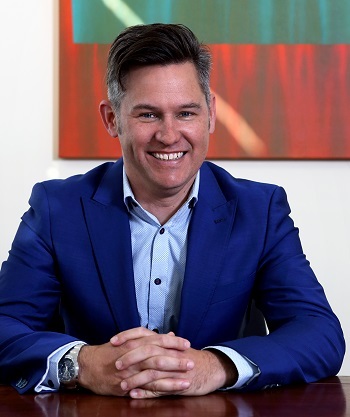 “It’s been a challenging year”, says Brad Pettitt, Mayor of the City of Fremantle. “In Western Australia, the economy has slowed down post the mining construction boom”, he says. The city has shifted gears, focusing instead on its tourism industry. It sees business from South East Asia as a key driver, “growing very, very quickly”. GovInsider caught up with the Mayor to talk about his plans for the port city, and how he intends to draw more people to the city centre. The area is an important historical landmark – it was the first settlement site of the British colony in the state, and had the first long jetty in Western Australia, he says. 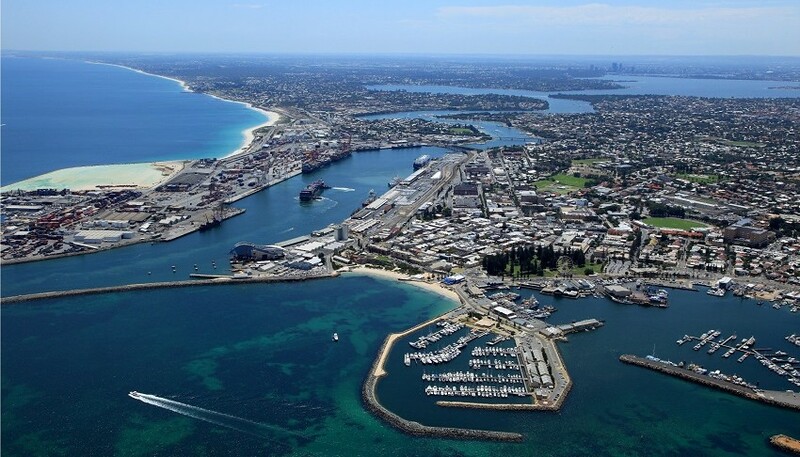 The Fremantle Harbour is the state’s largest and busiest port. Operations have become “more efficient” as automation has replaced manual labour, Pettitt says. The council is looking to replace the workers lost from port activities, and the Mayor sees this as a drive for his city to embrace the knowledge economy – attracting skilled workers from government, IT, architecture, and graphic design. He aims to create a “seven-day week economy”, where the city is vibrant on the weekends, and boasts the hustle and bustle of office workers on weekdays. The Fremantle Port is also looking into driverless trucks that can potentially run around the clock. This would lead to a “more efficient use” of transport and logistics around the port, he says. Some of the biggest decisions for Fremantle rest with the state government as it looks to make “major investments” to improve port transport infrastructures. Last year, Fremantle also rolled out an online service for firms to track their planning and building application status. Pettitt’s next focus is to expand this to food licensing applications and other council documents. The city is keeping to its roots – it’s retaining its historical culture, but also embracing disruption. Truck drivers? Soon to be, perhaps, a thing of the past. … with an unexpected ending.